Teamgo, formerly Go Reception, is a visitor management system for office receptions. Modern, innovative and digitally forward-thinking - replace your paper sign in books for visitors, staff and contractors with an easy to use and customise system. With a highly customisable set of features, access the Teamgo dashboard on any modern web browser. The service is a software platform that manages all settings and date in your own private and secure data cloud, it’s modern and secure SaaS (software as a service) solution. There is nothing to install, just load your web browser and login to the secure dashboard. Here you can configure all your settings, load your employees into the directory, connect your tablet devices as your sign in terminals and design these to create a unique sign in experience for your visitors. With a series of easy to use tools, you can customise the look and feel of your sign in terminals so you present your company in the right way and collect all the important information from your visitors when they sign in. Capture visitor information, sign induction and non-disclosure documents, capture visitor photos and store all this information securely in the cloud for real-time viewing or instant exports. Load your employees into the directory so visitors can select them at sign in and send instant arrival notifications to the right person. In addition there are different tablet options to use as your terminal sign in kiosk, companion app and fully integrated secure data cloud of your own with no limits on data usage, no lock in contracts and easy monthly or annual billing per location you use the service. Teamgo is all about automating process, saving paper, time and office overhead costs while maintaining a professional, digital and forward thinking appearance for your organisation. The Teamgo solution is perfect for small offices, large enterprise organisations, non profits and schools. Due to the customisability of the visitor management system you can use it in a variety of unique ways. From the date of implementation his system has been exceptionally useful for us as a business. It has been very reliable the entire time and has allowed us to be without any personnel in the reception areas at our sub-sites. With a difficult layout at certain admin-limited sites, this system has given us the professional and functional solution with huge savings over a manned reception. The ease of use, badge printing abilities and general professional appearance has received countless positive comments by visitors. The notification system is very easy to set up and most importantly, it works every time. Employees receive an SMS and an email when their visitor signs in, and this has proved very useful for all employees. The management user interface is very easy to navigate and once you've got it up and running, it's very handy being able to set all iPad terminals to use the same layout, regardless of their location. Less paper - We no longer need to order paper sign in books. More efficient for emergencies and evacuations. Software seems user friendly and easy to use. It is a plus that we can manipulate most aspects of the system and add/remove staff without having to contact the company (TeamGo) everytime. The only thing would be the app. If it could be used so that staff/contractors could sign in and out from their computer or the app that would be handy instead of them having to walk down to Reception every time to sign in and out on the tablet. Our school is quite large so now we need to look at buying multiple tablets, printers, stands etc. Would be great if you could meet with a rep to go through the program, how it works and how to set it up instead of having to email back and forth. Even if a rep phoned to chat to the customer about the program and initial set up/answer any questions. Seems that everything is done via email or web chat. Teamgo is a monthly subscription service. They offer several different plans that support small to enterprise organisations. Each plan is also available as an annual option, with cost savings for signing up over one year. Teamgo supports education and non-profit organisations who offer the appropriate accreditations. Education pricing is available to customers who qualify and sign up for a one year annual plan. Payment options are VISA or Mastercard, AMEX, bank transfer and check. Print visitor, staff and attendee badges, scan QR codes etc. Manage multiple locations under one account, go enterprise! For business, education and non profits! Teamgo replaces pen and paper visitor books with a better sign in experience. We help with visitor, employee, contractor, student and delivery arrivals and departures. Teamgo lets you capture visitor details directly on the tablet when they arrive. Fully customisable sign-in fields, NDA/waiver signing, automatic photo capture and badge printing, Teamgo makes it simple to do more with your reception. Welcome an unlimited number of visitors to your organisation with an alternative to the pen and paper sign-in book. Depending on your subscription type load all your employees into the web dashboard so they can access the systems features and benefits, and you can track their time on site (optional). Control, customise and view everything in your secure web dashboard. Give others limited access for viewing reports and managing visitors. Save time and setup your visitors before they arrive, sending an invitation and QR code they can scan right on the tablet to notify of their arrival. View all your visitor activity in real time, who is signed in and who has signed out. Get quick access to evacuation lists so you know who is still on site and which employee is responsible for them. Host events at your organisation, send out mass invitations and customise your sign in terminal with the event registration mode. Print badges from the low consumption thermal printer, including visitor name, company, pass id, sign in time, photo and QR code. Everything is customisable from the dashboard. When your visitors sign in, capture their photo right on the tablet for added security and compliance, this is is stored in in your visitor activity and sent to your host. Get the right information from your visitors. Customise the required sign in fields on screen including variable yes/no questions. Send instant arrival notifications by SMS, Email or App to your employees when a visitor arrives. Employees will know who has arrived to see them and additional information. Customise what gets sent and how. Get your visitors to read important information on arrival and sign induction document or non-disclosure agreement directly on screen. Change the look and feel of your sign in terminals from the dashboard including logo, text, background images and language. Change the sign in steps to customise the visitor experience. Want to turn off photo capture? No problem, this and many other options are available. All your visitor data and system usage is stored safely in the cloud with no limits to the amount of records held. Get access anytime to create reports and export to other platforms. Support your corporate risk management efforts - collect and store data securely with ability to instantly retrieve at anytime, use the tools provided to export data and create reports. We are building integrations into Sales Force, Slack, Eventbrite Google Apps, and more. Download the Free iPad app from iTunes. Below are some frequently asked questions for Teamgo. Q. What type of pricing plans does Teamgo offer? Q. 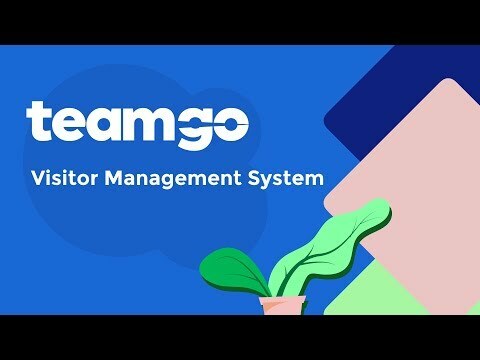 Who are the typical users of Teamgo? Q. What languages does Teamgo support? Q. Does Teamgo support mobile devices? Q. Does Teamgo offer an API? Yes, Teamgo has an API available for use. Q. What other apps does Teamgo integrate with? Q. What level of support does Teamgo offer? Q. Which apps is Teamgo compared to most often?